Slice the pork in 1,5 cm thick slices and marinate with Maizena, all the sauces, sugar and black pepper for 1 hour. Slice the onion into rings. Heat oil in pan, fry onion rings until medium done, set aside. 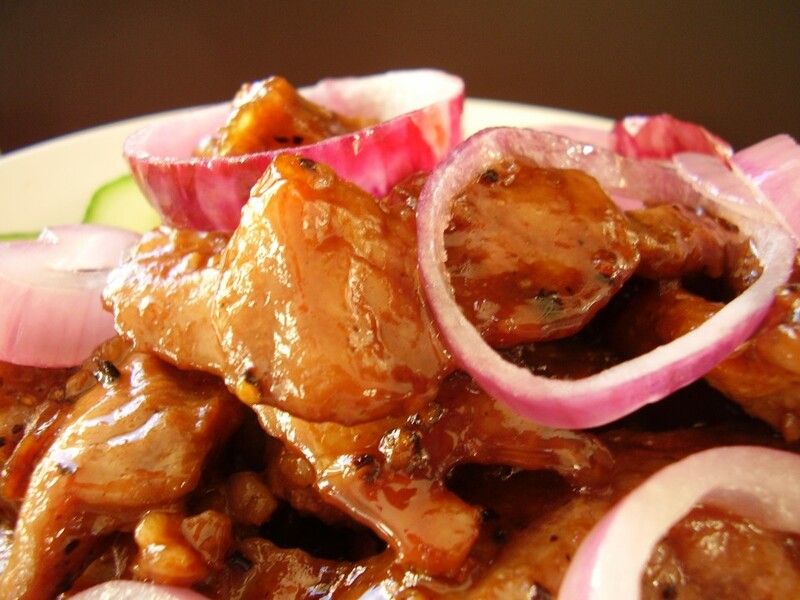 Fry pork until cooked, place on a plate and top with fried onions. NOTE:This recipe is taken from my cookbook, ‘Blame It On Granny’.